It is a very common practice for the sales staff to ask the customer for the receipt when the customer request to refund or exchange a product. However, there are many reasons that can cause the customer to refund and exchange without receipts in the store. It could be a gift from their friends, the customer forgets the receipt somewhere, or they simply lost it. In any case, it is best that the business has a good process to handle this situation, especially for those with a brick-and-mortar store. In this article, we will instruct you on how to handle this process of Refund and Exchange without a receipt using your Magento Point-of-Sales. Why Return/Exchange product without receipts? Selling at a lower price is not always the best and the only way to sell products to customers nowadays. Indeed, as the competition in the market becomes more intense, business will have to compete in many other aspects, including customer service. Having a flexible customer policy, such as allowing customers to Refund and Exchange without receipts, will make the buying decision of the customer easier. Many businesses, like Wal-mart, have very clear instructions on how to refund product without needing any receipt. In doing so, the customers will not have to worry that they have made the wrong decision when buying a product from the store, and thus keep coming back to that business. It’s pretty easy to manage refund and exchange if the business is 100% online, where all information can be traced back to the order that is associated with the product item. However, it’s not always the case when you have a brick-and-mortar store with a POS. A native POS that is directly synchronized to your online business can help, if the customer has an account or the product item has a serial number . Nevertheless, it doesn’t really cover the case when the customer uses guest check-out to buy the product. Many businesses try to increase customer’s spending in their stores by encouraging them to buy some gift for their friends and families. For example, most retail stores see their sales increases significantly before Christmas because people buy a lot of gift during that time. Similarly, we can easily see long queues of people coming in the stores to refund and exchange the product after the holiday season. Many of the returned items are bought as a gift, which very likely means that the receiver doesn’t have any receipt at all. By default, Magento doesn’t support negative quantity (example: -1, -2). Thus, it will not be as easy to add the product to the cart and change it to a negative quantity to return it to the stock. Similarly, you cannot input a negative amount to an order to handle an exchange order. 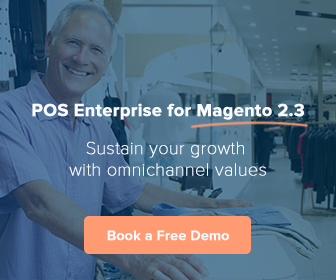 To handle refund and exchange without receipts on Magento POS, our solution to customize directly on the Magento native PWA POS. 4. If the customer wants to exchange for a new product, the sales staff can select the refund amount as a payment method. If the product item has a serial number, it will be easy to track it down to the order without the customer having a receipt. However, not every business manages product by serial number, and not every product is serialized. Thus, it would be hard for store owners to determine whether the product has been purchased from their store previously. When a customer requests to Refund and Exchange without receipts, it would be difficult for the sales staff to determine how much the customer has paid for the item previously. For example, if the customer bought the product when there was a 20% discount and returned it when the promotion program has been stopped, how should be store owner refund the amount to the customer in a way that they will not face a loss? Refunding in cash will be ideal for customers, but not for the business owner. Keeping the money within the business should help the store owner to maintain the liquidity in their business. Thus, many store owners get creative when refunding for their product. Some of the most common refund methods are gift card, store credit and reward points. Ideally, a refunded item should be returned to the shelf and available for another customer to purchase again. However, in many cases, that item is broken or simply cannot be sold as a brand new one. Thus, how should store owner manage the stock for this inventory? Should they have a stock of their own to sell at a discount? Or should the store owner simply send them back to the supplier? Each policy leads to a different way to handle inventory update after refund and exchange. If you plan to separate the refunded product with others, using different sources in Magento MSI may help. If you’re thinking about implementing the Refund and Exchange without receipts process on your Magento POS and have a professionally designed system, don’t hesitate to us. We would love to hear your concerns and help you build the most optimal system for your business.